Before you receive your complimentary report on 7 Secrets to Awesome church hospitality, a confirmation email has been sent to the email address you provided. You’ll need to click on that link to get your report. No click – no report. Let me introduce you to a related audio from my store. You are interested in improving your hospitality. 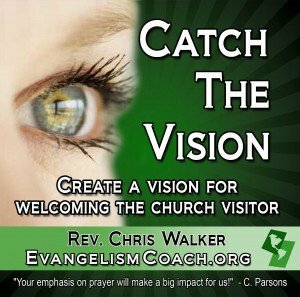 How can you develop a passion within the congregation for welcoming first time visitors? On this MP3 digital download, I offer 13 more different ways and places where you can cast that vision in under 5 minutes at various places in the church life. Listen in the car, stream it on your phone, or however you consume audio. 7 Next Steps for the Next 30 days. Format: MP3 audio download (70 MB). To play on your computer, laptop, tablet, smartphone, wherever. The 7 Secrets Report is free. You’ll need to confirm your email to receive it and it will come to you as an email link.